K.C. Hortop works in Eastman & Smith's Detroit, Michigan, office where he concentrates his practice in the areas of employment and labor law. 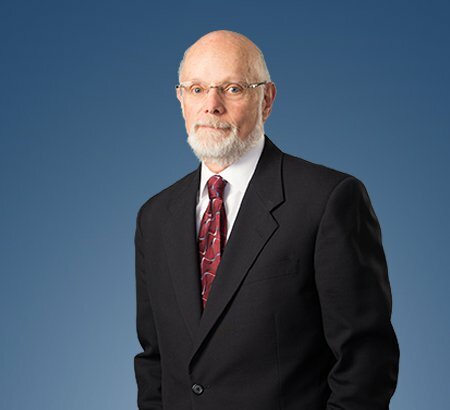 During the course of his career, Mr. Hortop worked for the National Labor Relations Board (NLRB) as an investigator and as a trial attorney for 13 years, and also as an in-house attorney for Chrysler LLC for 21 years. In addition to having been an adjunct professor of labor law at Cooley Law School in Auburn Hills, Michigan, Mr. Hortop has lectured on sexual harassment in the workplace as well as alternative dispute resolution. In his spare time, Mr. Hortop enjoys golfing, reading and traveling. Obtained defense jury verdicts in employment matters in both state and federal courts. Litigated before state civil rights agencies in Michigan, Ohio, Wisconsin and New York. Negotiated several collective bargaining agreements for Chrysler. Chaired a task force that developed an alternative dispute resolution process for Chrysler’s non-union represented employees. Employee Relations: Are You at Risk for an Organizing Campaign?